Did you know that AES hires young people to lead its programs, like the Davitto Leadership Academy? 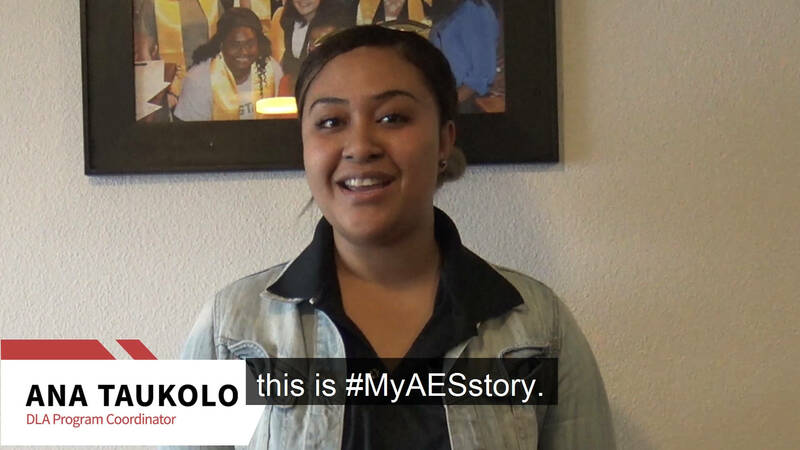 Watch the DLA Program Coordinator Ana’s #MyAESstory and learn why she believes programs like the DLA can make a positive difference in the lives of marginalized youth: https://www.youtube.com/watch?v=TJxrCaGdLNE. Want to know more about the DLA? Go to aesimpact.org/dla/ and sign up to volunteer or participate in the program and join Ana on Giving Tuesday as she gives & encourages others to give to support the DLA.